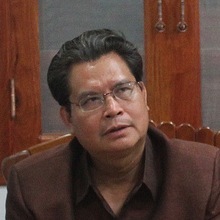 Soon after Sombath was taken from in front of a police post on 15 December 2012, government statements issued in the KPL Lao News Agency and by Yong Chanthlangsy, Permanent Representative of the Lao PDR to the UN in Geneva in the Vientiane Times, clearly indicate that it was Sombath in the CCTV footage. However, subsequent reports on behalf of the investigating committee by Phengsavanh Thipphavongxay, Deputy Director General, General Police Department in the Vientiane Times, allege the persons in the recording could not be identified. 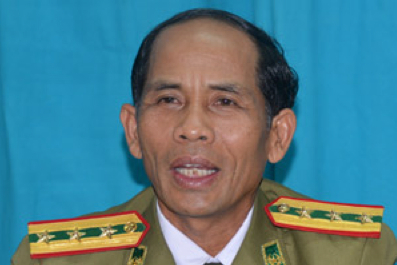 If the CCTV footage is not clear enough to identity Sombath or his disappearance (as claimed by the investigative committee and Ambassador Khammanichanh) how can that same footage refute accusations that authorities may have been involved in the incident? Also, if the police were conducting “…their duties under the law…” when allowing relatives to view the CCTV, why have they denied any subsequent access, and are still refusing to release the original file? Of course anyone who knows the story of what how the CCTV footage was obtained knows that it was pure luck that they were able to obtain the footage in the first place. Who does the Government of Laos think it is kidding trying to say that they were “cooperating sincerely with Sombath’s wife and relatives, allowing them to view and record the CCTV footage.” What a bunch of baloney! The truth of the matter is that persons (who shall remain nameless) went to the CCTV center asking if they could look at footage because they couldn’t find their “friend”. The head of the CCTV footage department was actually conducting an interview with local media about their security preparations for the upcoming University Games (you can hear the interview taking place on one of the youtube links), and so a junior officer let them look through the CCTV footage without consulting his superior because he obviously wasn’t aware that there had been an abduction last night. The quick thinking of the people who went to the center was what got them the video of the footage on their mobile device. A spur of the moment quick decision, a puff piece by the Lao media and the kindheartedness of a junior police officer (heaven only knows what happened to him after the footage came out on Youtube) are what allowed this footage the chance to see the light of day. On the other hand any official request for information has been met with stone walling – and by the way, the original video footage has somehow mysteriously disappeared. The Government of Laos should not be allowed to get away with saying they they have “cooperated” with the family by sharing the video! I’m calling B***S*** to that! If you want to test my theory, I suggest trying to go along to the CCTV footage center now saying that your “friend has disappeared” and you wanted to see if you can look at the footage to see if they are there. See how far you get! About Sombath Somphone case, we need to review (CCTV) before further investigation. There is the original proof of the incident, ask the world safety organization to investigate this case.